I don’t like DRLs. So I killed mine! When pulling into neighborhoods late at night, I’d like to be courteous and turn my headlights off, so as not to shine into the houses. The DRL sensor in my car is way too sensitive and turns on when the least bit of shadow covers my cabin (in brood daylight). When the DRLs turn on, the headlight switch becomes inactive. I.e., you can’t turn the headlights off if you wanted too. Hence, it was time to disable the feature in my 2003 Toyota Matrix. But I didn’t want to merely snip a wire and be done with it. I would ideally like to be able to revert back to factory condition if I ever wanted to (can’t see that I would), especially if I sold the car in the future. I bought a Toyota fog light switch (P/N 00550-35976), which fits nicely into an empty bay in the dash. There is usually at least one extra bay available for options. There is a built-in resistor of 50 Ohms across pins 3 and 4 of the switch. Apply +12V across those pins and the LED lamp lights up. For my cabling, I chose a standard AC power cord from a PC, since I needed three wires and it already had a nice thick plastic jacket. Next was the DRL wiring. Before starting that, you have to disconnect the battery. Be careful when reconnecting it though! I had a lot of trouble with my alarm system activating, thus turning on the horn alarm, until it figured out that I wasn’t trying to break in. Thus, I also recommend disconnecting the horn until all that is settled. See below for an accurate pinout of the DRL connector, looking into the back end of the connector (not mating end). 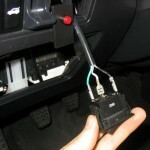 According to the TSB for this procedure, pin 12 becomes +12V when the DRL system engages (low ambient light detected). Thus, the first big step was to locate and cut pin 12. It’s a Red/White wire right next to the larger gauged White/Black (pin 2) wire. I wanted to wire my switch such that the LED was off when I disengaged the DRL system. With the switch on, the LED would be on and the DRL would be engaged. 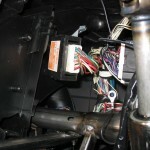 Therefore, pin 2 of the switch should be wired to the DRL supply wire (Red/White). 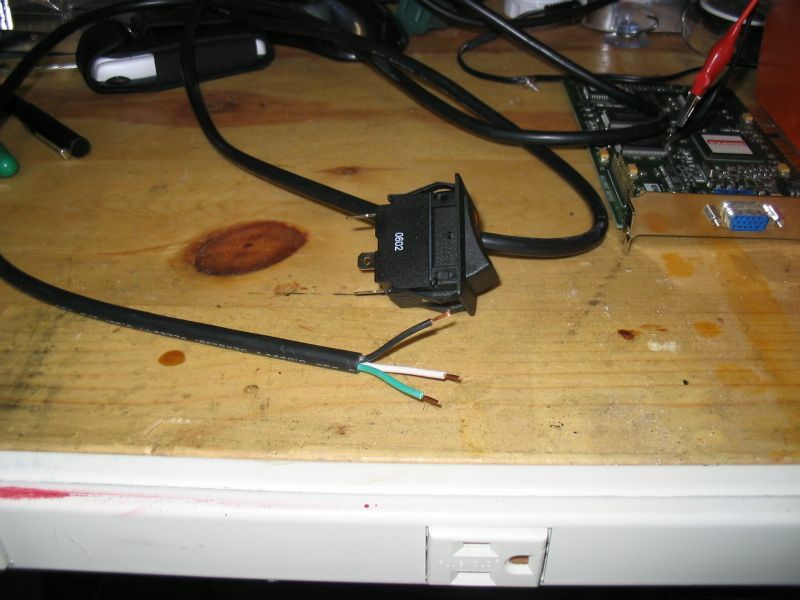 Pin 3 of the switch should be wired to pin 12 of the DRL connector (the other side of the wire just cut). Finally pin 4 should be wired to chassis ground. For this, I soldered a spade lug and placed it under the washer and bolt holding the DRL assembly to the chassis. 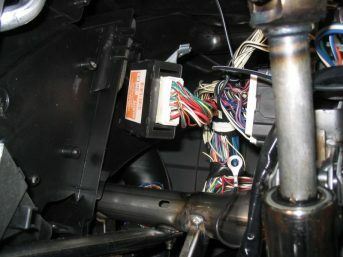 On the other end, I soldered on spade terminals to the cable and connected them to the appropriate pins of the switch. Finally, the switch fits very nicely into place in the dash switch panel. Works like a champ! Come up here and do that to my van PLEASE! that feature on my toyota corolla is the bane of my existence. wish i had your engineering skills to disable it on my car…unfortunately teaching my car Spanish (the skill that I am good at) will not coax it into keeping the headlights off during broad daylight…sigh. What a neat project! Thanks for sharing. 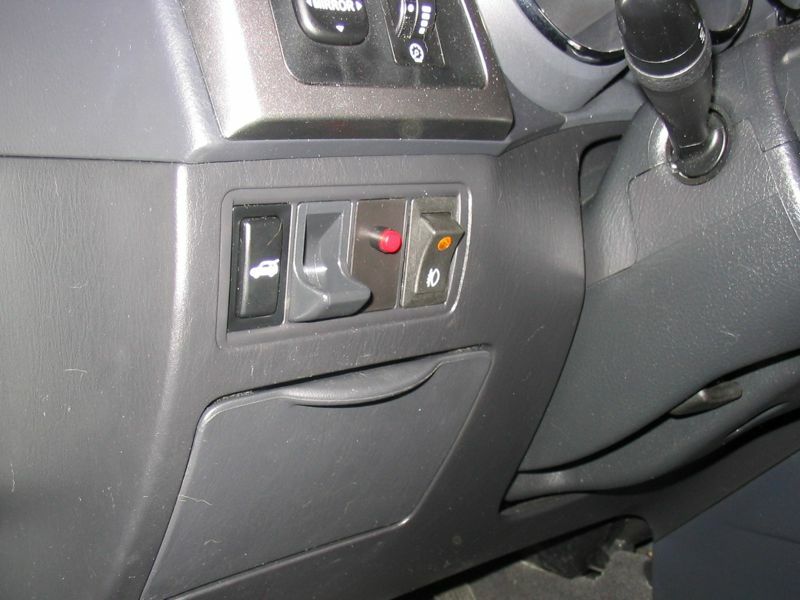 A quick couple of questions: (1) when it’s time to turn of the headlights, do you use this switch, or the turn-knob switch up by the steering wheel? I suppose either will work. (2) how will it impact the operation of the fog lights when DRL is disabled? Zhuang, with the DRL disabled (the new switch I installed switched to the “off” state), I then have to turn my headlights on and off manually. The DRL switch basically just allows me to disable or re-enable the DRL feature of the car. Fog lights are not disabled by the this mod; they remain on. The DRL mod just gives me more control over my car by being able to turn off my lights when I want them off, even if that’s while the engine is running. I couldn’t find the drl mod? I need better pictures. Ed, you’re looking at the DRL mod. Did you not see the project photo link at the bottom of my article? Also, if you click on any of those photo links, they’ll take you to the gallery where you can find 800×600 images. 1) You do not have to be a contortionist midget to do it but it really would help. I am 6’5″tall and did it but it took me 3 hours and lots of frustrations. 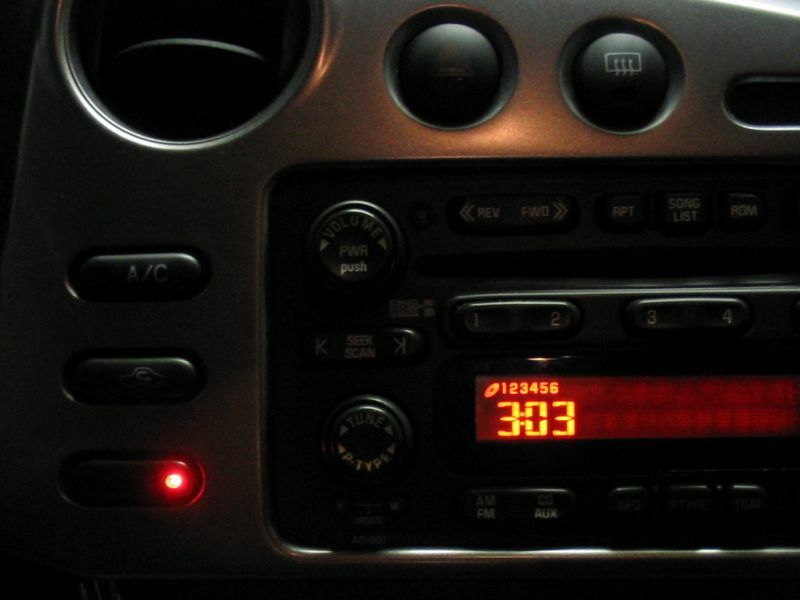 2) I used the Toyota Switch 00550-35976. Cost me $18. You can get the same thing at http://www.rallylights.com/hella/switches_illuminated_rocker.asp for $6.68 + S&H for a total of $16. But Toyota had it and I did not have to wait. Wanted to get it done. 3) Should connect pin 2 of the switch to the red and white wire (after you cut it) coming from the wire harness into the connector. Pin 3 of the sw to the connector piece of the wire. Pin 4 of SW to ground (I followed prior suggestions and connected it to the screw holding the module in place, extremely difficult to hold all pieces together while you try to screw the module in with one hand). 4) I measured the current flowing through the newly installed switch. When the DRL are on 4.6 mA, with Auto Light on 9.7 mA. Did not measure the current draw of the switch light but given it is an LED but given the switch has a 50 Ohm resistor the current can not be more than 240 mA. Bottom line, puny current that can be carried by fairly small gauge wire such as phone wire. I did not know so I used 18 gauge four conductor stranded wire (pulled out the extra conductor I did not need). An overkill but I did not know the current I was dealing with until I installed it. 5) Works great. Worth the effort. With DRL and Auto Light disabled (switch off) I get full control of the light switch back and also the dashboard light indicator works properly. They only light when I turn the light on manually. Thank you to all the guys that came before me and provided the information that allowed me to correct this annoying and paternalistic “feature” of the Matrix. 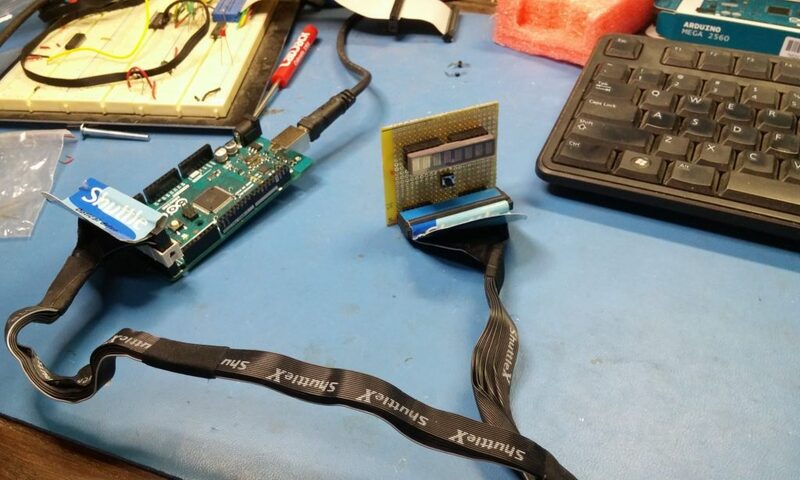 Now the next project is disabling the annoying seat belt warning beeper. Very nice work, Tallray! Do you have any pics of your mod? Hi I was wondering if you know of any performance upgrades for a 2006 matrix . thanks ben please use e-mail. Anyone figure out a good way to make he driving lights come on independently? I disabled the DRL on my 07 Corolla this weekend, now I can turn off the lights when I need to. Thank you for your post. Nice to hear that it worked on your ’07 model, steveofsd. Sorry about the pictures being down right now. Still working on getting that fixed. I was wondering has anyone one here tries to pull fuse #31 (drl op fuse)? I was going to do that until I found this site. The switch allows me to turn the drl On/Off, Off for me and On for forgetful people in my family. Thanks for Super Rob posting the wiring schematic of his 03 Matrix, now I want to make my fog lights independent from headlights. Steve in SoCal. aaron » Sorry man, can’t help you there. There’s a good chance it will work, but you never know. 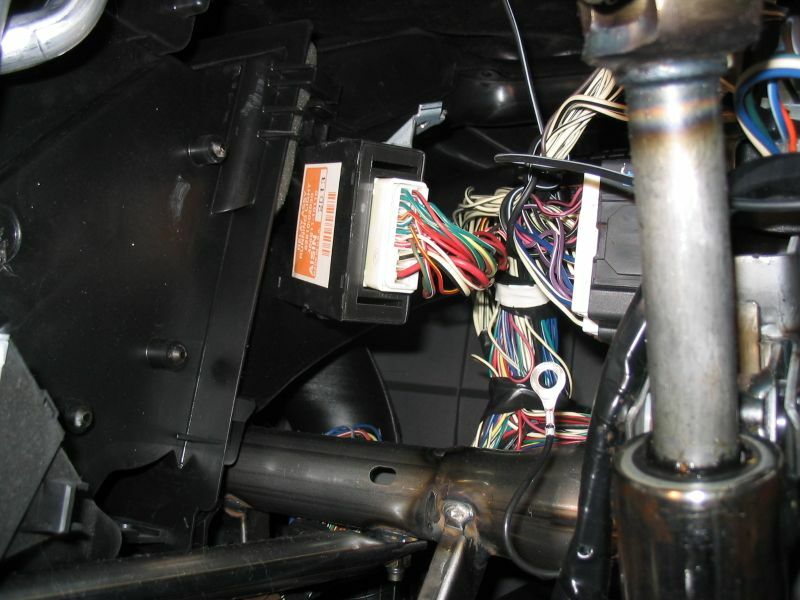 Your best bet is to find a detailed manual on the internet for your make/model and dig into the schematics. 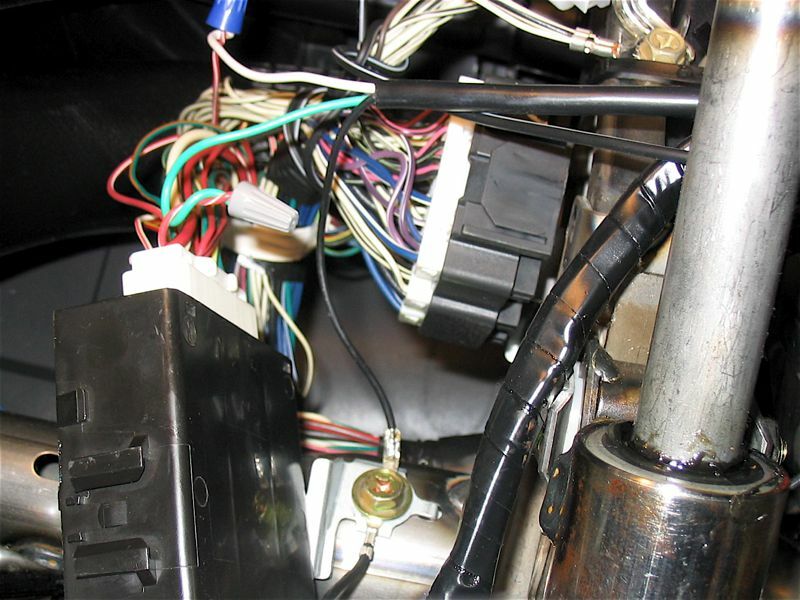 hi, need some assistance… well not really.. but i’ll explain..
but my switch does work… just always lights up when ignition on and switch in off position..
well i grounded my switch on top of another connectecor that was grounded.. could that be the cause?? Sounds like your LED portion of the circuit is simply wired up backwards. Try flipping the LED wires around and tell me what happens. Hmm, the pinout on your switch isn’t what I thought it would be. Do you have access to a bench power supply, or batteries? 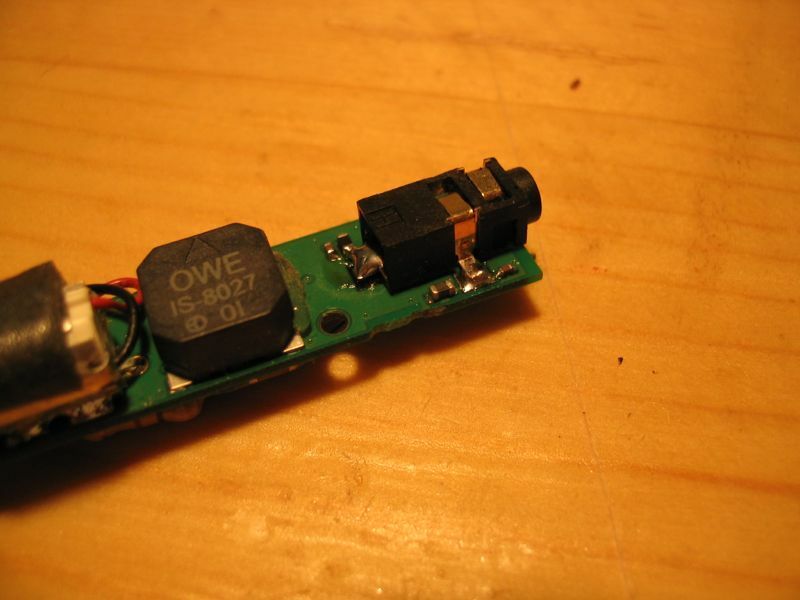 If you could test this switch on a 9-12V battery or power supply, that would tell you how it’s supposed to be wired. yeah.. so i switched the wires around and it’s working as it should… no light when flicked on… and lights up when switched on…. cause i thought i had it hooked up to the switch properly…. Wow that was simple. thanks for your help. Just did my 2007 Corolla and it took all of 15 minutes. I put hid lights in and they would not work with the low volts the day time running lights were putting out. I had to turn on the lights or the lights would flicker..Now I control when I want the lights on ! Thanks again! Some people have mentioned that this mod can cause the lights to be dimmer than they should be. Will this be the case with my 2004 corolla??? I REALLY WANT to do this mod but I just don’t want to take a risk messing something else up. Paul, all I can tell you is that this was not the case with my 2000 Matrix. Sorry I can’t be more help. Your site has been TONS of help so no worries there. I guess my only question is, by snipping the red/white wire is it even possible for the lights to come on dimmer? Paul, glad the site could be of help. My gut tells me that no, you should not be seeing any dimming as a result of cutting those wires. I would expect no lights at all worst case. But then, these car computers can be amazingly complicated pieces of hardware. What do you have to lose? 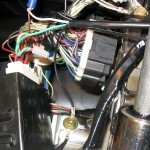 Cut the wires, see what happens, and if you do get dimming, then simply repair the wire cuts. Good luck! Thanks! I’m committed, now just to convince the wife to let me do it lol! Though I’m not interested in having a switch, could I just cut pin 12 and be done with it? Thanks for reading, Giovanni! And of course you can just clip that wire. Personally, I wanted the option in the future to be able to “undo” my modification. Easiest way to do that is to add a switch. 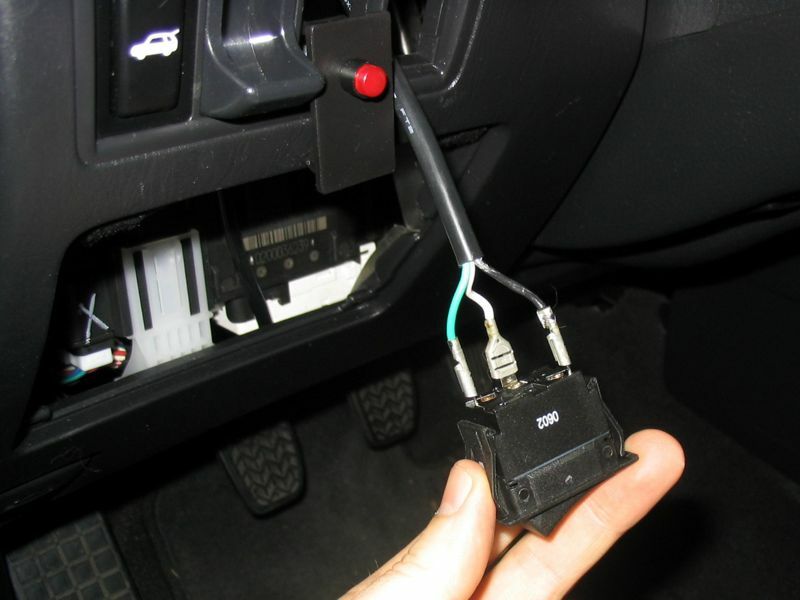 I just did this and I cut the wrong cable, I cut number 13, my hid’s go on and they flicker at start then stop flickering and now I get not static at all, what gives? will anything go wrong if I cut number 12? Thanks. Same advice, Casey. I’m not sure what pin 13 does, but you discovered it does some weird stuff to your lights when you clip it. So fix it and clip 12 instead! IT WORKED! it works like a charm in my 03 corolla s, used a led toggle switch to power it, thanks so much for the instructions! Thanks so much for this detailed tutorial and the toyota part number. The OEM switch looks great. Now all I need to do is find a sticker that is in the same front as the TPMS reset button that says “DRL”. FYI: To anyone thinking about getting the switch google the part number for the cheapest price. I got it for 11 bucks. Also, the light that lights up is not distracting at all at night and blocked by the steering wheel in my 2008 Vibe Base ATX.